Think fly fishing is a man’s world? Well, you’re dead wrong. Dead wrong! Because women are now the fastest growing demographic in fly fishing. 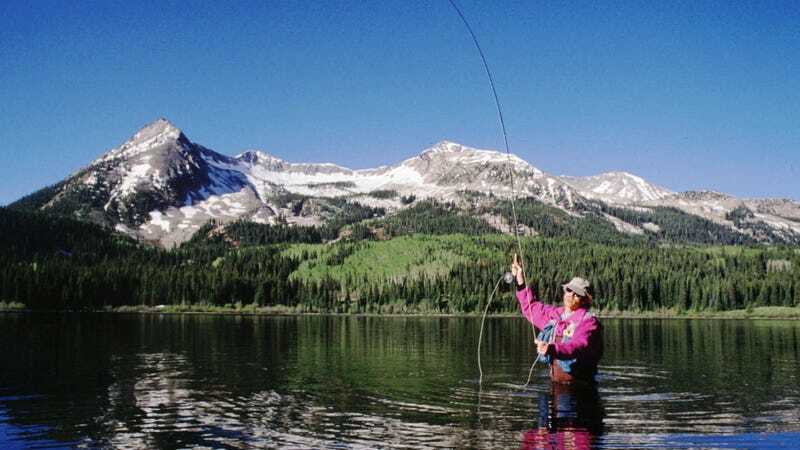 The New York Times reports that women make up 31 percent of the 6.5 million Americans who fly-fish. Now, the sport is growing to accommodate women who might not have the gear or skills to protect themselves when it comes to fly-fishing. [Camille] Egdorf gave as an example a guided fishing trip with a veteran angler husband and his wife, a novice. She gave tips on ways to fish the river and to slow down the back cast. The husband ignored Egdorf, but the wife listened and had a more productive day, catching five fish for every one he caught.